Persad at Goth Central. 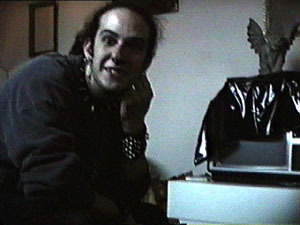 Note the little gargoyle on the obscured television. 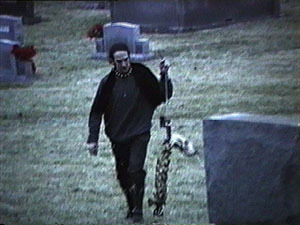 Persad toting part of an articulated cow skeleton he brought as a prop to the east-Charlottesville graveyard. Leticia the Brazilian Girl in the graveyard. 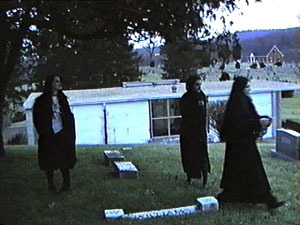 From left: Leticia, Tiffany and Theresa in the graveyard. 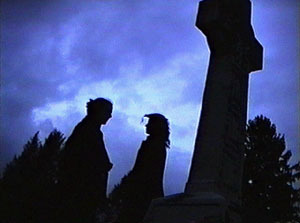 From left: Tiffany, Leticia and Theresa in the graveyard. 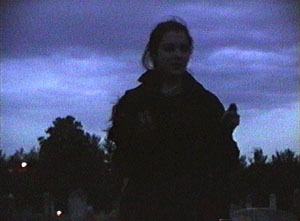 Tiffany (left) and Cecelia the Brazilian Girl against the sky in the graveyard. 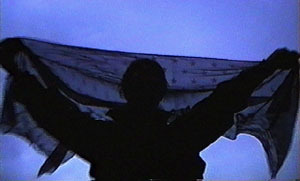 Tiffany in a typically gothic pose against the sky.